Lots of violence fascinating to sustain population on Masada. Connection between women, repetitive glad to have read it, would not recommend. I found it compelling reading once I got into it. I just had to know how it happened as the ending was foreshadowed early on. The setting of the book was new for me – I didn’t know much about that area and era so I learnt a lot, including how brutal life was. We should remember this when we now get horrified about assault and murder in Sydney and compare the proportions. Despite the very different living conditions, I had no trouble living myself into the soul of the characters. And I know where I would like to live and which problems I prefer. A nice easy read – yet it also raised the issue of the Middle East conflicts. How can each new American president think he/she can fix that age old problem? Liked the cover photo, history matter, everyone mystical; not enjoyed. Far too long. Did not finish, metaphors laboured. Read it, loved history. Book was historic. Too much detail. Too long, repetitive. Not interested in characters. 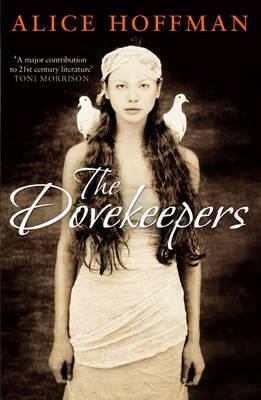 This entry was posted in Book Reviews, Fiction, Historical Fiction and tagged 1st Wednesday Book Group, Alice Hoffman, Parramatta Library Book Group, The Dovekeepers by admin. Bookmark the permalink.